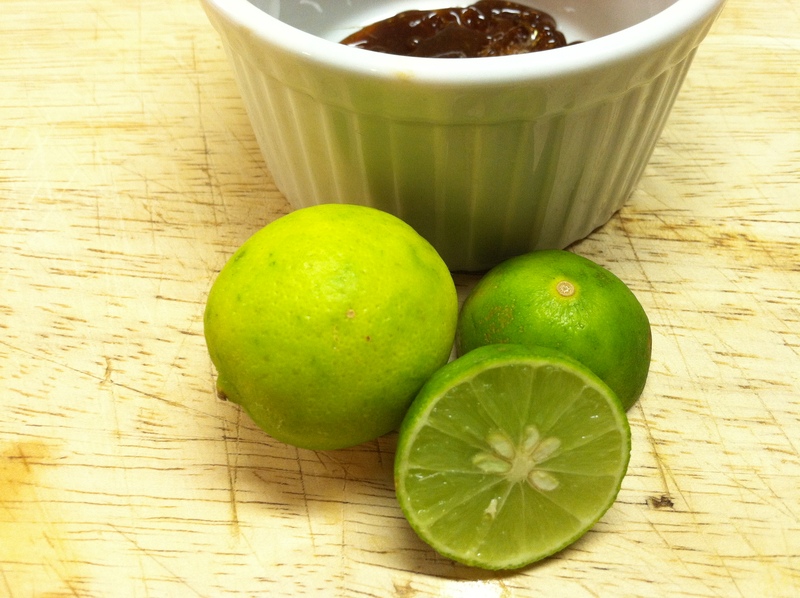 When I bought a bag of Key Limes, which, ironically, came from Mexico, I’d intended to make a low fat version of Key Lime Pie for my husband. I just couldn’t figure out how to do it and keep it light. Traditionally, sweetened condensed milk is used to make it. That was out of the question because of his dietary restrictions so I decided on Key Lime Mousse, substituting whipped skim milk for cream. Well, my milk is from the local creamery and comes in a typical one gallon plastic milk carton with the cream still floating on top and I just can’t get enough of the fat skimmed off to get pure enough skim milk to whip. It just doesn’t work with that little bit of fat in it, and whipped cream is too high in fat to fit within his recommended requirements. 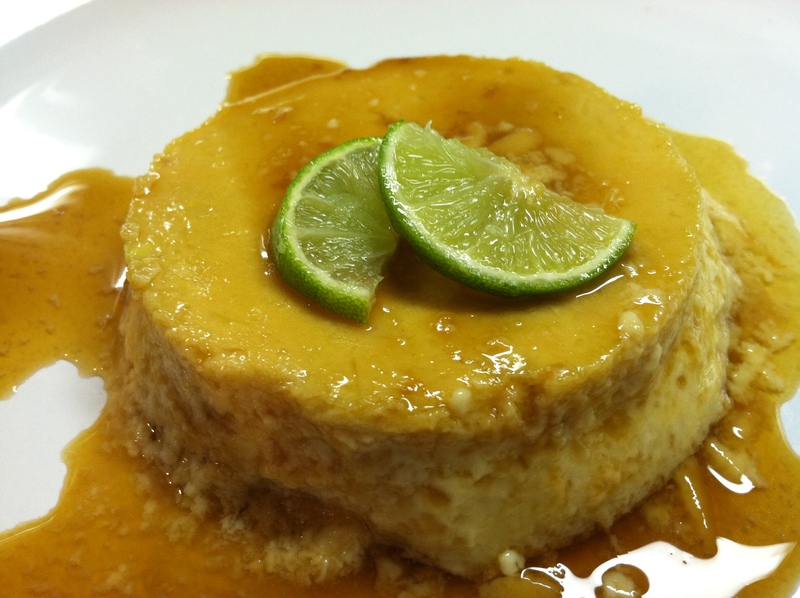 Instead of making mousse, I took my Creme Caramel recipe and adapted it to make Key Lime Flan. It worked pretty well, but as you can see from the photo the consistency is off just a little from traditional flans. I substituted egg whites for some of the eggs, and the lime juice curdled the milk making the finished custard softer and lighter than flan custard without the addition of acid. It was a hit and a bust at the same time. The boys loved it, the man couldn’t eat it because of the “texture”. Oh yeah. I completely forgot that he can’t eat flan or egg custard…or tapioca or rice pudding and now quinoa. He’s had quinoa many times over the years but the other night he asked me what that was on his plate because it looked like fish eggs. There have never been fish eggs in our house because I despise them, particularly the texture. I’m sure it was only due to the fact that we had just watched the Frasier episode where he and Niles were selling black market caviar. But however his sudden dislike came about, quinoa is now off the list of healthy foods Hubby will eat and so is Key Lime Flan. Melt the 1 c. sugar in a pan over medium heat until it’s liquified. Be careful not to let it scorch and don’t get it on yourself! Pour the melted sugar into six oven-proof ramekins to line the bottoms. Whisk together the eggs, egg whites, and sugar, beating well until combined. Beat in the lime juice. Whisk in the milk, beating well to prevent curdling. It still curdles, but smoothly, if that makes any sense. Place the ramekins in a hot water bath and bake for 30 to 40 min. or until set. A knife inserted into the center will come out clean and the tops will be rounded when they are finished. Cool on racks for a little while, then chill in the refrigerator. 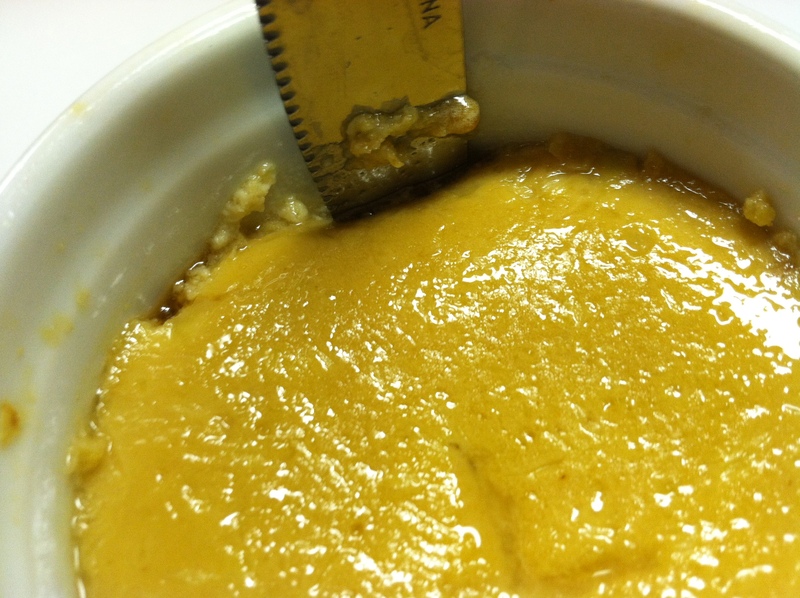 To unmold, run a knife around the edge of the custard in the ramekin to release it. Place a serving plate over the top of the ramekin and invert it. Serve. I thought it could use another tablespoon or so of lime juice, so if anyone wants to try the recipe, I’d go ahead and add a little more.